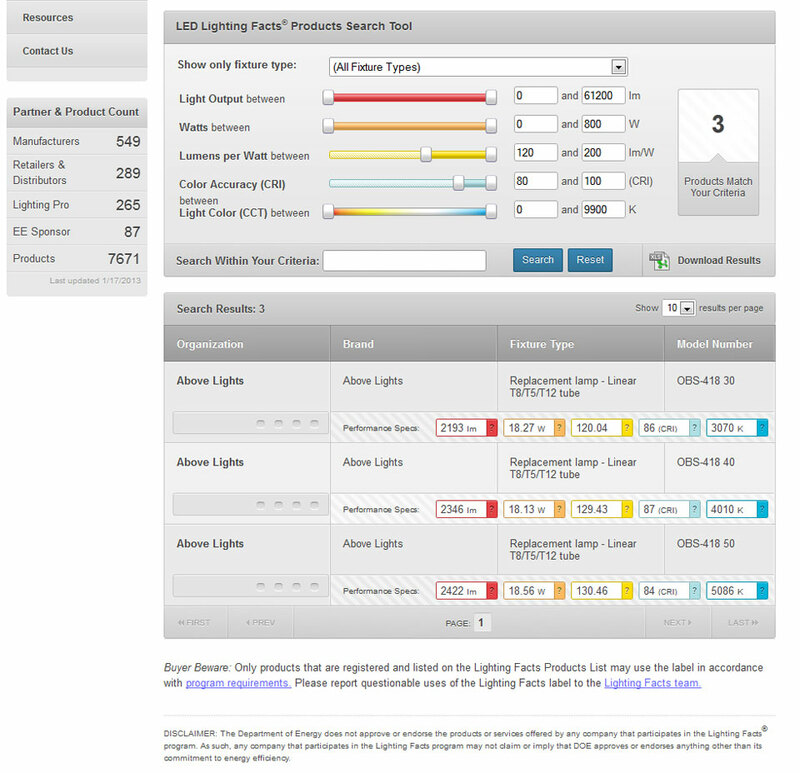 Looking for the most efficient LED luminaires on the planet? You're off to a good start, we are Above Lights and we're simply above the rest! Please contact one of our account specialists to obtain access to our full website. We now have LED tubes and fixtures with efficiencies of up to 145 lumens per watt with 85CRI! ©2010 Above Lights. All rights reserved. Specifications are subject to change without notice. Mirai Lights is not responsible for typographical errors. All typographical errors are subject to correction. Actual product appearance may differ slightly from images on this website. Questions? Please call us at (562) 448-2050.